When you use a broker to sell your outdoor business you should put the broker agreement in writing to avoid a dispute. 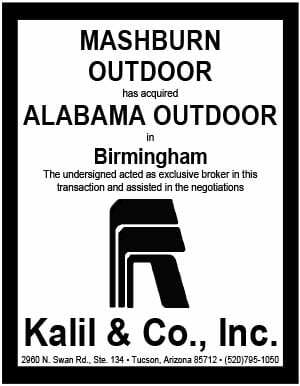 Also, if you sell an outdoor plant in certain states you may need a real estate license as Marshall Burks v Elevation Outdoor demonstrates. Martin Daniel was the owner of Elevation Outdoor, a Tennessee outdoor advertising company. He had given a 10% interest in three of the company’s 35 billboards to Garrott Massie. Daniel decided to sell Elevation Outdoor in 2001. Massie asked if he could find buyers for the company in exchange for a fee. Daniel and Massie verbally agreed to a fee of 7% of the net proceeds of the sale (gross value in sale less debt) provided that the sale price was in excess of $2.8 million and the sale did not involve Lamar. The agreement was never put in writing. Massie and an associate Marshall Burks approached Lamar and received an offer of $2.2 million for Elevation’s assets. Daniel accepted the offer. After the sale closed Daniel gave paid Massie and Burks commissions totaling $53,280. In January 2004 Massie and Burks sued Daniels and Elevation Outdoor for an additional $47,709, alleging breach of contract. Daniels countersued, alleging that Massie and Burks were not entitled to any commission under the Tennessee Real Estate Brokers License Act of 1973 because they were not licensed real estate agents. A lower court and appeals court ruled in Elevation Outdoor’s favor and directed Massie and Burks to return the brokers commission and to pay all costs of the appeal. The courts determined that the sale of 35 outdoor advertising structures and their related interests was a real estate sale because the value of the company was largely attributable to long term leases of real estate. Then the courts determined that by engaging in a real estate sale without a real estate brokers license, Massie and Burks had committed a class B misdemeanor under Tennessee law and so any contract they made was unenforceable. Insider’s take: The entire dispute could have been avoided by a clear written brokerage agreement. 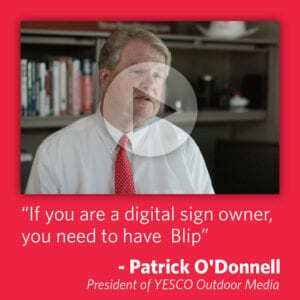 The case raises an additional issue for outdoor advertising brokers. Some states may require you to have a real estate license to broker the sale of signs. Your fees are at risk and you may be subject to damages (treble any commission in Tennessee) if you engage in a transaction without a real estate license.